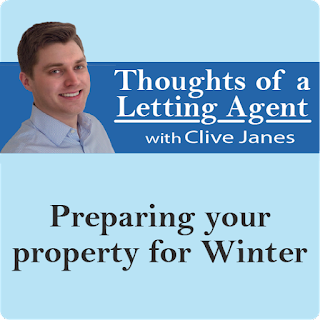 The following tips can be applied all year round but they’re particularly relevant at this time of year as it gets colder, darker and wetter outside. Ensure you know where the fusebox, gas safety valve and water stop valve are and how they operate, in case of an emergency (I provide a house guide to my tenants with this information and also show them when they move in). Check roofs and gutters for slipped or damaged tiles and for any leaks. Check overflows and pipework for any leaks as well as damp smells or flaking paint, which may indicate a hidden problem. Bleed the radiators and check the pressure of the boiler to see if it needs topping up. Build-up of condensation can be more prevalent in winter as more heating is used, clothes are dried inside and there is a tendency to want all the windows shut. All this moisture in the property needs to go somewhere and will invariably attach itself to cold surfaces (exterior walls/window surrounds) and create unsightly condensation/mould patches. Keep windows open throughout the property, particularly in bathrooms and kitchens and especially during and after showering/bathing and cooking. Use extractor fans where fitted and wipe down any wet surfaces after using the shower/bath. This is very important to prevent the freezing of the water system and expensive burst pipes. It’ll also help in the fight against condensation, which thrives on a changing temperature. 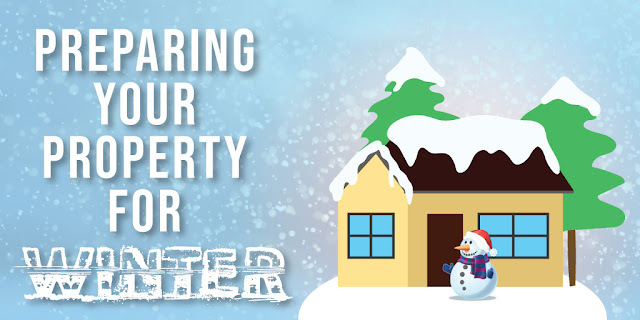 The easiest solution if you are planning to be away from the property is to leave the boiler on and set the thermostat to a low temperature i.e. 12°. Do not overload electrical sockets with appliances and Christmas lights as this can cause a fire hazard. Avoid using candles, particularly near Christmas trees, decorations and curtains. Test all smoke and carbon monoxide alarms to ensure they are working correctly. I believe prevention is better than cure, which is why I pre-arm my tenants with a 'winter maintenance guide' at the beginning of their tenancy and re-issue it as winter approaches.